Since 2003, the Brazil-Germany Symposium of Sustainable Development has been taking place in both countries alternately every other year. The first Symposium was held in Tübingen, Germany. The purpose of the Symposium is to present and discuss the differences and similarities regarding the sustainable development of two societies related to their cultural identity with the resources of the earth and its processes. 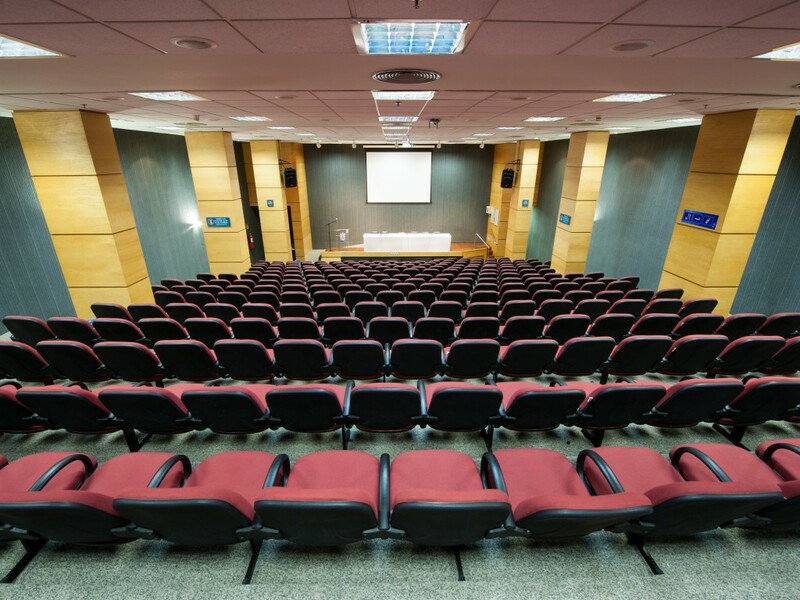 The 2017 edition will be hosted at the Pontifical Catholic University of Rio Grande do Sul, in Porto Alegre, RS, Brazil. The theme of this edition will be “Facing human impacts: the challenges for society and for science”. In this event, the scientific exchange between colleagues from Brazil and Germany in the field of technological innovation and sustainability is opportune. The focus is mainly on issues related to energy, water, soil, climate, biodiversity, agriculture and forestry, politics, economics, resource management and future cities. 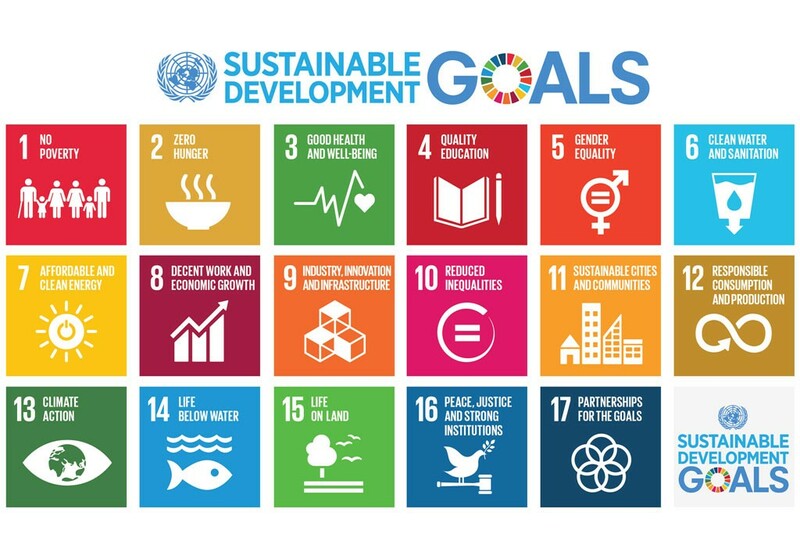 Since September 25th, 2015, Sustainability is the major goal of the UNITED NATIONS. This goal is called the agenda 2030 and was adopted as the Resolution 70/1 by the General Assembly of the UNITED NATIONS. “The General Assembly adopts the following outcome document of the United Nations summit for the adoption of the post-2015 development agenda: Transforming our world: the 2030 Agenda for Sustainable Development”. “This Agenda is a plan of action for people, planet and prosperity. It also seeks to strengthen universal peace in larger freedom. We recognize that eradicating poverty in all its forms and dimensions, including extreme poverty, is the greatest global challenge and an indispensable requirement for sustainable development. The aim of the 8th German-Brazilian Symposium on Sustainable Development is to present and discuss the differences in sustainable development of two human societies related to their cultural identities within the frame of Earth resources and processes. The symposium will use oral presentations, poster presentations, and guided field tours to convey the general aim. The guided field tours will provide human and natural examples of sustainable development. 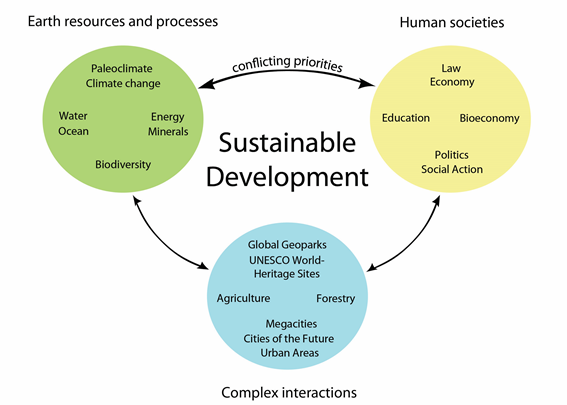 The term “sustainable development” is used in the sense of the early definition (March 20, 1987) by the Brundtland Commission of the United Nations: “Sustainable development is development that meets the needs of the present without compromising the ability of future generations to meet their own needs”. 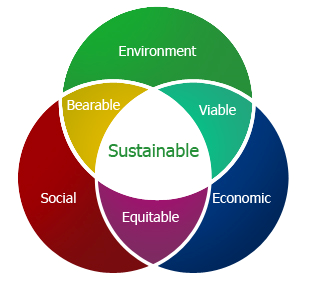 In general, sustainable is seen in the interaction of Environment, Social Actions, and Economics. Environment (Earth resources and processes) is connected with human societies (Social and Economic) by the terms “bearable” and “viable”. These terms describe a possible way how human societies can sustainably develop by living within the system Earth and using the resources of planet Earth. The focus of the symposium is to understand the Earth resources and processes, the cultural identities, and the unique conditions in Economy, Law, Politics, and Social actions between Europe and Latin America. The chance of the Symposium is discussing sustainability taking into account the differences of the cultures. Therefore, the symposium will focus on the cultural identities, the Earth resources and processes (Palaeoclimate/Climate change, Biodiversity, Bioeconomy, Energy, Minerals, Water, Oceans), and present the sustainable development in human society (Economics, Law, Politics, Social actions). Agriculture, Forestry, Cities of the Future, Megacities, and Urban areas are examples for fields of complex interactions between human society and natural resources. In addition, all themes related to Earth resources and processes will be discussed in the view of conflicting priorities of human needs. 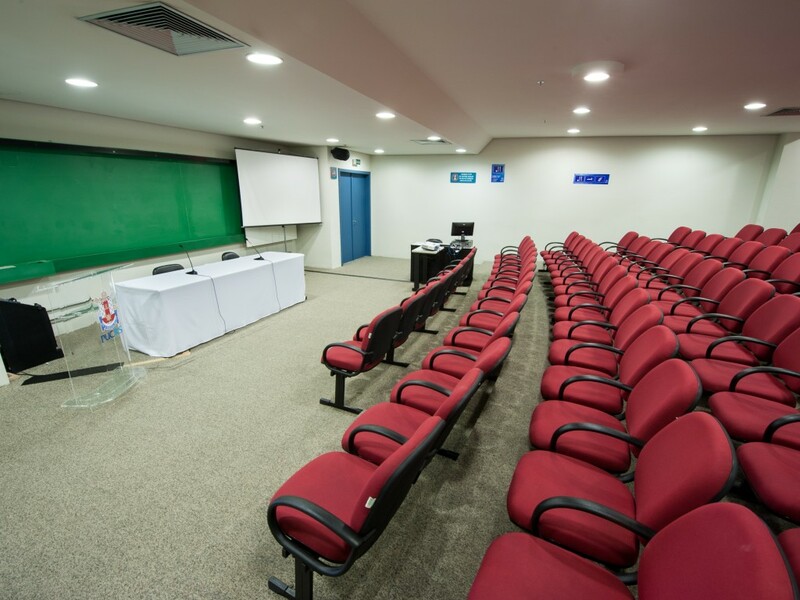 The topics of the Symposium are given by the central themes of the Pontifícia Universidade Católica do Rio Grande do Sul (PUCRS), which supports the organisation of the symposium and the dissemination of its outcome. One outcome of the symposium could be a development scheme for sustainable actions within and between the different cultures. 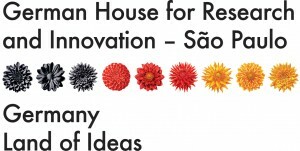 Furthermore, the symposium is strongly supported by the Baden-Württembergisches Brasilien-Zentrum der Universität Tübingen and Baden-Württemberg International (bw-i) in Stuttgart. Main theme: Facing human impacts: the challenges for society and for science. The 8th German-Brazilian Symposium is scheduled from Monday, 02 October, 2017 until Saturday 07 October, 2017. The Symposium is structured into three days of parallel sessions, talks, discussions, and poster sessions, and three days of guided field trips. Each day starts at 8:30 AM and will be finished at 6:00 PM. Two coffee breaks and one lunch break structure the day and give room for further discussions and networking. Oceans are resources, supplied by the natural environment and are used intensively by the human society. The rising awareness in Brazil of more than 8.000 km of coast combined with the latest findings of giant Oil and Gas deposits seeks for a sustainable development. Germany on the other hand is using the Ocean resources and has developed research programs, such as Future Oceans, that are concerned with the sustainable use of Oceans. The talks should describe the Ocean resources, their use in human societies, and provide information on the sustainable use in the future. Bridging examples from the field of agriculture and food safety provide information on issues already established and studied by research projects of sustainable interaction between natural resources and processes and demands of human societies. The talks shall provide information on analytical tools that help to retrieve necessary information for decision makers that have to implant managing systems, define economic behaviours and formulate and change necessary judicial systems to initiate and provide the legal base for sustainable development. Freshwater is a resource supplied by natural environment and is used intensively by human activities. Aquatic ecosystems accommodate a large biodiversity and are important to build up biomass as a base for alimentation of other species and finally for humankind. According to the UN-General Assembly for Human Rights people are entitled to water and sanitation. Based on the considerations mentioned above, a reliable water treatment and distribution as well as a secure wastewater draw-off and treatment before discharging it to the water body are inevitable. The talks/posters describe water resources, their use by human activities and provide information of sustainable use in the future. Furthermore, this session accepts also papers on all aspects related to sustainability of water supply and handling wastewater. Energy and Minerals are resources supplied by the natural environment and are used intensively by the human society. The need for elements and metals and the shortness of some of important elements (e.g. Rare Earth Elements) shed a light of the sustainable development of natural mineral resources. In addition, all societies provide financial support for research in the field of sustainable generation and use of energy. This research is driven by the future shortness in Oil deposits; the CO2 generation by using conventional energy sources, and the rising awareness in the human societies that radioactive decay takes a very long time to produce safe nuclear waste. The talks should describe these resources, their use in human societies and provide information on the sustainable use in the future. If possible all talks should include a short historical overview. The green and blue planet Earth is a unique complex biological-geoprocess interaction and feedback regime in the solar system. Climate on planet Earth is one of the regulative in the Bio-Geo interaction. Since the formation of planet Earth climate has dominated the evolution of everything on the Earth surface and interacts with plate tectonic forces. Over the past 4.6 Bill year’s climate has changed dramatically and generated all changes of living species and plants on planet Earth. Since about 3 Mill years human population is growing and later moved out of their original habitat. All of their evolution and behaviour was and still is connected with changes in climate. We as humans learned over hundred thousands of years to adapt to all climate environments on recent planet Earth but with the recent extreme fast climate change the change of the chemical composition of the atmosphere is combined. The extreme fast change of the chemical composition of the atmosphere and the climate will cause significant harm to live and the human species as we will not have time to adapt. Nevertheless, we as humans are toolmakers and as toolmakers we have the ability to change the climate in such a way that all live on planet Earth is in danger. As we are regional located species and only see the results of our actions in a very local manner, we need to meet and discuss the influences of human action on the global climate system. We also need to develop goals to slow down or better to stop the recent climate change. The session will be open to all kind of contributions related to climate change in the past and recent, to descriptions of tools for slowing down or stop the climate change, and also to new ideas in advertising those tools for humans, and societies. The change in biodiversity is an evolutionary process of life on planet Earth. Key examples from the past to the present will be shown. It is also expected that the causes for changes will be provided. Bridging examples from the field of forestry provide information on issues already established and studied by research projects of sustainable interaction between natural resources and processes and demands of human societies. The talks shall provide information on analytical tools that help to retrieve necessary information for decision makers that have to implant managing systems, define economic behaviours and formulate and change necessary judicial systems to initiate and provide the legal base for sustainable development. The following description of Bioeconomy is provided by the European Commission in the field of Research and Innovation at Horizon 2020 (http://ec.europa.eu/research/bioeconomy/): “Bioeconomy encompasses the sustainable production of renewable resources from land, fisheries and aquaculture environments and their conversion into food, feed, fibre, bio-based products and bio-energy as well as the related public goods. The Bioeconomy includes primary production, such as agriculture, forestry, fisheries and aquaculture, and industries using/processing biological resources, such as the food and pulp and paper industries and parts of the chemical, biotechnological and energy industries.” The session seeks for presentations that combine sustainable production of renewable resources and their industrial using/processing. During the last decade, the Global Geoparks Network, which consists currently of 127 territories in 34 countries worldwide, has developed a wide range of tools towards sustainable regional development, geo-education, regional and international networking, science transfer, and conservation strategies. Their holistic approach, which includes the connection of Earth history, nature, man and culture, enables innovative development of territories and supports their regional identity, including their past, present and future. In November 2015, UNESCO has honored this successful development and implemented the “International Geosciences and Geoparks” Programme (IGGP) as third pillar of UNESCO world class designations – besides the World Heritage Sites and Man and Biosphere Reserves. With respect to their holistic approach and community-based bottom up strategy, the UNESCO Global Geoparks can act as model regions following and communicating the Sustainable Development Goals 2030 as model regions. During a series of workshops and consultations, the main strengths and goals are currently identified and will now be developed further on by the worldwide 127 members of the IGGP as common task in the frame of the membership in the United Nations Education, Science and Culture Organization. Examples from the fields of Green Infrastructure in Urban Areas shall provide information on issues already established and studied by research projects of sustainable interaction between natural resources and processes and demands of human societies. In addition, we seek for presentations related to the sustainable future of Cities, Megacities, and Urban areas. The talks shall provide information on analytical tools that help to retrieve necessary information for decision makers that have to implant managing systems, define economic behaviours and formulate and change necessary judicial systems to initiate and provide the legal base for sustainable development. The negative consequences of non-sustainable development around the world become more and more clear: Climate change, pollution, loss of biodiversity, poverty, economic disparities are only a few examples of future challenges. On this background, best-practice examples should be presented and discussed in this session. Stakeholders from government ministries and agencies, NGOs, universities and the academic and non-formal education should be invited to submit proposals for presentations and posters. A major challenge in modern medicine is bringing latest results from basic research to clinical application, meaning crossing the valley of death between basic science and the patient. Academia is the place to do that as both all disciplines are located there and should be linked together much stronger and even institutionalized. The session will focus on examples which worked out and give case studies, how to become more translational. There is a strong need to improve as currently results from basic science are translated too much slowly in clinical application and daily practice. Academia is playing an increasing role in pharmaceutical drug discovery. More than 60% of new molecules entering clinical development stages (phase 1) are currently no longer originated by inhouse research of big pharma. Both Brazilian and German academic consortia are playing substantial roles in this field. Examples are e.g. INCT-Inofar for new drugs in Brazil or ICEPHA and TüCADD in Germany, both working on sustainable sources and pipelines to foster academic drug discovery. Academic expertise is also of crucial importance in public-private partnerships (PPPs) for the development of new drugs or new drug formulations aiming, for instance, to end the neglected tropical diseases by 2030 (SDG 3.3). The enforcement of sustainable development needs the conjugation of Law and Ethics. Laws are responsible to regulate the use and exploitations of natural resource, as well as to stimulate financial instruments like subsidies or market mechanisms. Environmental Law is a broad and interdisciplinary subject that involves human rights, climate change, energy production, air, water, soil, nature, animal rights, nature and landscape protection, conflict management and waste. Sustainable development through Law must naturally approach several of those subjects, conjugating them to find the best possible result to the modern issues. Ethics is intrinsic with the human behaviour and its content carry along the studies of moral and philosophy. The triumph of sustainable development politics depends on the capacity of human society and its leaders to convince the world that the change is urgent and that it need to be made with respect to the human morality and reason. This session will give an overview over the different binational programs and cooperation between Germany and Brazil. The abstract “The Plural Sector in the New Urban Agenda: assessing ZURB potential for best practices for independent community organizations” by the authors Santos, AP; Steffens, E; Macedo, LF; Buela, PKM; Azzolin, C; Carmo, MR; Farias, T, is included in the oral presentations of Session 12 (page 329), but belongs to Session 10. Abstracts have to be submitted in English. Limit of one page DIN A4, including references. Please use the abstract template (download below). Abstracts must be submitted by email as attached computer files in .pdf format and additionally as .doc file. Indicate in the title by a leading Poster or Talk your preferred form of presentation. Please provide the session number at the end of the abstract. Your abstract will only be included into the abstracts volume if registration and payment are completed in time. Talks have to be given in English. Presentations are 10 minutes plus 5 minutes discussion. Use Microsoft PowerPoint (.ppt) or .pdf as presentation format. Please bring your presentation on USB flash memory to the conference office on the day of your lecture. Poster size is A0 portrait. There is no option to print your poster onsite. Letter of acceptance will be sent only upon request by e-mail to simposiobrasilalemanha2017@pucrs.br. 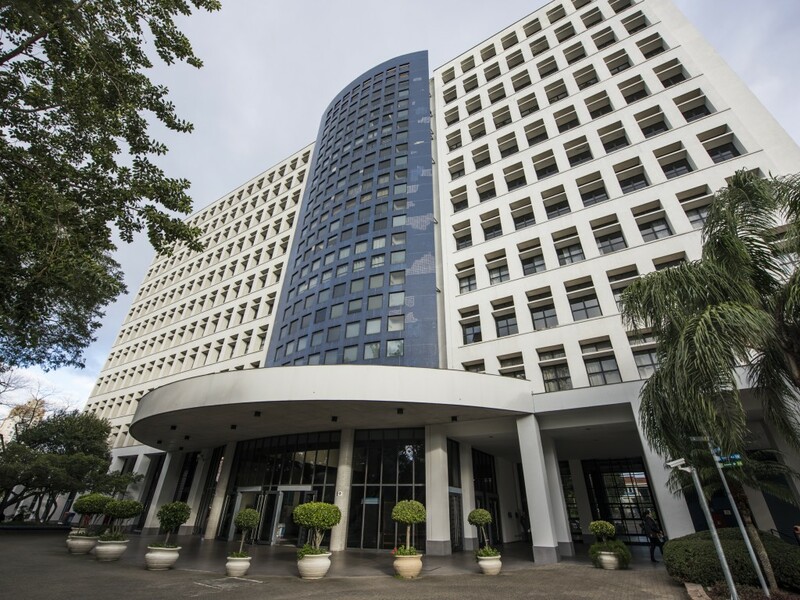 The Historic Center was created and designed in 1959, but its origin dates back to the beginning of the settlement of Porto Alegre. The establishment of the parish of Nossa Senhora da Madre de Deus in 1772 was very important to the settlement and development of the region, which includes Rua dos Andradas, which still today is called Rua da Praia, its original name. The stories and traditions of its inhabitants have played a major role in the conception of the region’s churches. The construction works of the Metropolitan Cathedral began in 1794, but it was only completed in the 19th century, with the design of its two towers in 1846. In the so-called Parallel 30, at the Montevideo Square, lies the Porto Alegre Municipal Hall, the official seat of the government of Porto Alegre, whose construction began in 1898. In its surroundings, lies the Talavera Fountain, a fountain donated by the Spanish community through the Spanish Society of Mutual Aid, in tribute to the 100th anniversary of the Farroupilha Revolution. Across from the building, lies the Public Market, whose construction works began in 1844, as an area for trade and leisure for the population. The Center offers a wide variety of services and entertainment activities, most of which bringing history and culture together. The Pró-Mata Project has been conceived from the need to create a natural reserve for research and nature conservation. 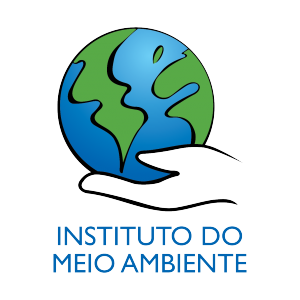 The project began in 1991 at the Pontifícia Universidade Católica do Rio Grande do Sul, in cooperation with the University of Tübingen, Germany. An area of primary and secondary Atlantic forests, with small patches of natural grasslands, has been chosen for the project. Despite many years of exploitation, most natural areas are well preserved. On October 5, 1994, a special event marked the laying of the cornerstone of the headquarters, in an area overlooking the coastal areas of the South of Brazil. In April 1996, the project was officially inaugurated by then PUCRS President, Norberto Francisco Rauch, under the name PRÓ-MATA Center for Research and Nature Conservation. From its inauguration up to now, the research center has received more than 500 researchers and countless students from many countries, who have developed nearly 200 research projects in the area, some of which are still in progress. Lagoa do Peixe: Oct 06 – from 8 a.m. to 8 p.m. The Lagoa do Peixe National Park (LPNP) was created in 1986 on the coastal plains of the southernmost state of Rio Grande do Sul, in Brazil. This lagoon of very shallow waters (<1m) is around 35 km long and just 1 km wide (average). A channel, usually open during the winter, connects the lagoon to the sea. The level of salinity can vary from almost zero on the northern-southern tips of the lagoon, to highly saline waters (>35 mg/L) in central areas during the summer. The area very attractive for water birds due to the large number of invertebrates om exposed shores. It is regarded as one of the most important areas for migratory shorebirds in South America, with ± 200 species of birds identified, including terrestrial, marine and migratory ones. Coastline and archaeological sites: Oct 06 – from 8 a.m. to 8 p.m. The archaeological sites (shell mounds) we are going to present to you in this trip are located at the coastal region of Rio Grande do Sul and are locally known as Sambaquis, their name in the Tupi language. They can be found in the coastal regions of the South and Southeast, from the coast of the State of Espírito Santo up to Rio Grande do Sul. The earliest findings were found in the states of Rio de Janeiro and São Paulo, and indicate that they have been around since as far back as the 6 BC. The Sambaquis can be found in coves, sandy plains dominated by beach-ridges, rocky outcrops, mangrove groves, lagoons, estuaries or large bays. This landscape variability is equally expressed both in the material culture and resource exploitation, which are characterized by a variety of adaptive strategies and diversity between the various cultural contexts. Osório wind farm: Oct 06 – from 8 a.m. to 6 p.m. The field trip to the city of Osório aims to present cutting-edge experiences in the area of renewable energy generation. The complex of the Osório Wind Farm Project was inaugurated in 2006. It consists of three parks – Osório, Sangradouro and Índios – and is responsible for energy production estimated at 425 GW / year, which is equivalent to home consumption for 650,000 people. Environmental contributions (such as reduction of carbon dioxide emissions, compensatory measures and environmental education) and socioeconomic ones (such as an energy and food production consortium, increased tourism, collection of taxes for the local government, generation of income and professional staff development) are some of the positive aspects of the impact of the implementation of the Osório Wind Farm Project in the region. Visit to the scientific collections of Museum of Science and Technology of PUCRS: Oct 2 – from 2 p.m. to 4 p.m. The visitation will be conducted in an area reserved for the scientific collections of PUCRS Science and Technology Museum. The collection consists of 13 exhibits – biological, archaeological and fossil -, each of which has been carefully preserved in order to keep its contents available to researchers and experts from their respective areas of expertise. Through our collections, we can learn more about the Brazilian biodiversity, both of the past and of the present, as well as of the societies that inhabited the south of Brazil. To register, you must click on the subscriptions button below and fill in the fields indicated on the form. First, however, read the instructions very carefully. All participants must make their personal registration. Fill in your e-mail correctly in the application form. Oral presentation: Support materials for the presentation should be in ppt or pdf formats and should be brought to the event on a USB flash memory. We suggest that presenters will be in the places of their sessions 10 minutes before the beginning of the session to organize the materials of their presentation. Poster presentation: The poster size is a portrait A0, which can be printed on canvas or paper and will be responsive to the presenters. The poster must be taken to the place of presentation only on the day of your session. 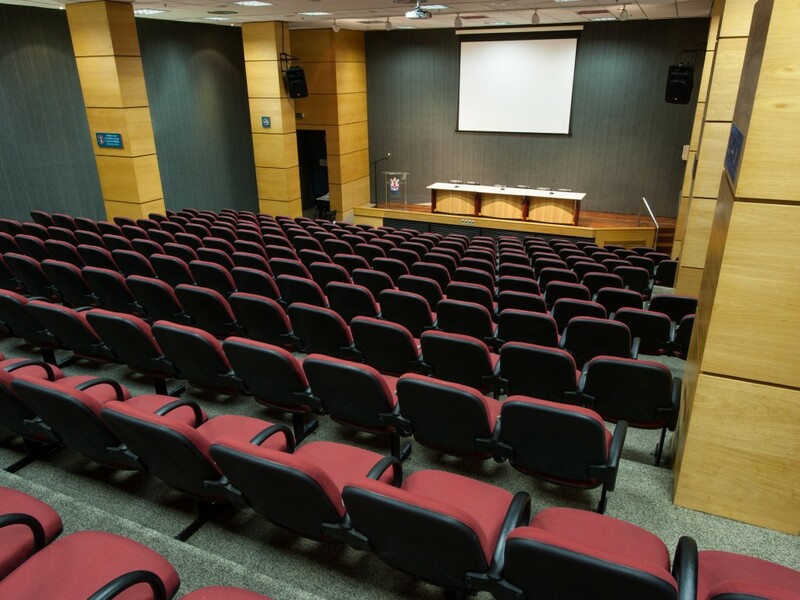 Participants who will make the poster presentations must be in the Annex Room of the PUCRS Building 50 (ground floor) 30 minutes before the scheduled time of the closing of the oral presentations of each session. Registration: All participants enrolled in the online application form must register with the orgateam that will be located on the ground floor of PUCRS Building 50. This procedure is mandatory for the withdrawal of the event kits and for issuing certification. Certification: Certificates will be issued for attendees who appear on the attendance list with a minimum of 75% attendance and the registration fee paid. At the place of accreditation, attendance lists are available, in which participants must mark their presence daily. The certificates will be available in digital format for access. Participants will receive an email notification when they are available, within 30 days of the event. Excursions: The exit of all the excursions will be in front of Building 50. Monitors will be in front of the building, with signs indicating the name of the excursion so that the participants find their group. All the participants enrolled in the excursions must be at the locality 20 minutes before combined time for departure. Dinner: We invite all participants to join us at the official dinner of the event, on October 4, from 8pm, at Churrascaria Galpão Crioulo (Otávio Francisco Caruso da Rocha St., Parque Harmonia). At own expenses. Rua Dr. Vale, 579, Moinhos de Vento, Phone 55 51 2102 7272. Av. Soledade, 575, Três Figueiras, Phone 55 51 3327 9292. Av. Cel. Lucas de Oliveira, 995, Bela Vista, Phone 55 51 3019 8000. Av. Borges de Medeiros, 3120, Praia de Belas, Phone 55 51 3026 2200. Rua Duque de Caxias, 1357, Centro Histórico, Phone 55 51 3215 9500. 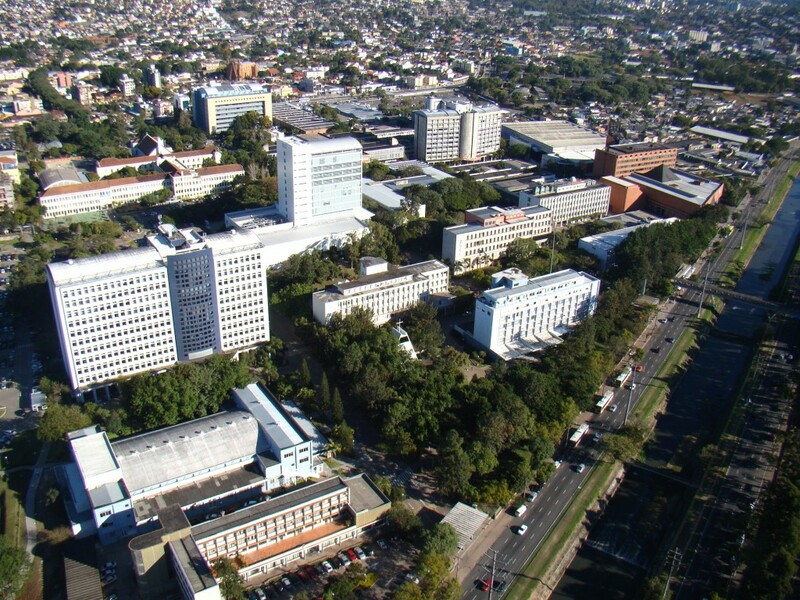 Our campus is located in Porto Alegre, the capital city of Rio Grande do Sul, a state in the southernmost part of Brazil, sharing borders with Uruguay and Argentina. Founded in 1752, our city has welcomed immigrants from many countries, forming a diverse mix of cultures. The capital city, with over 1.4 million inhabitants, is an important center for business, goods and services, and advanced technology. 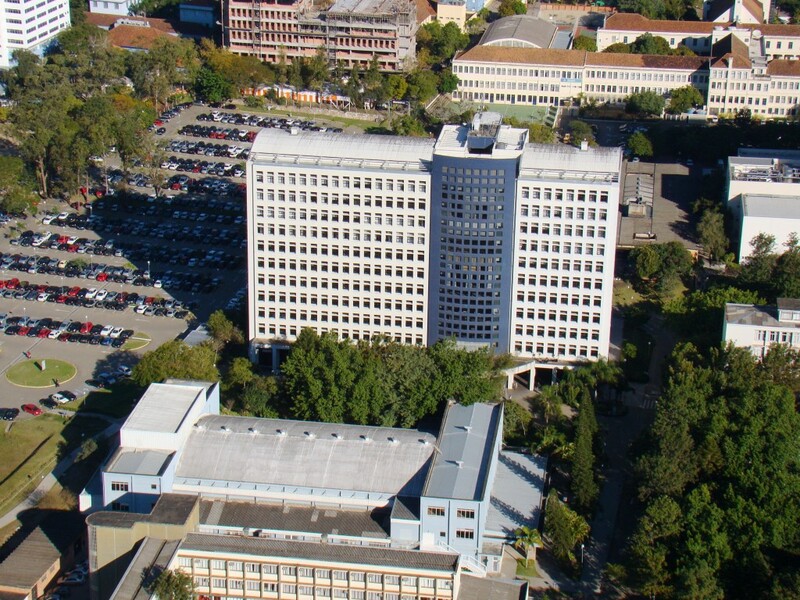 It was here that the Marist educational tradition began, with schools, and then with the foundation of our Pontifical Catholic University of Rio Grande do Sul – PUCRS, in 1948. 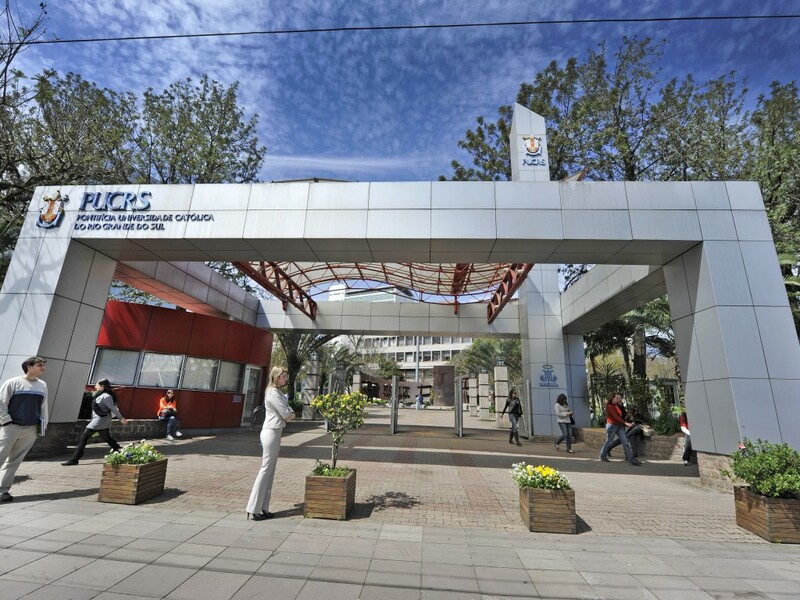 PUCRS’ campus provides everything a great university is expected to provide. 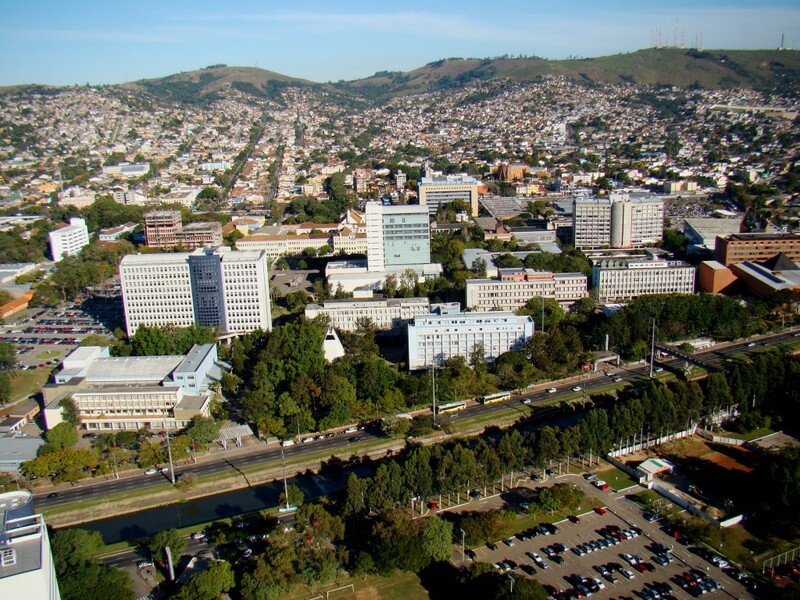 In an easily accessible location, PUCRS is a bustling society home to thousands of people. It is a living environment, growing harmoniously in size, complexity and quality, while seeking to disseminate knowledge and address social development needs. Our facilities are located in the south of Brazil. However, our education, our learning, and our references are all around the planet. Attention: the functions of this website work best with the Google Chrome browser.